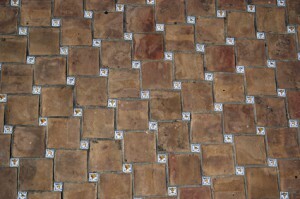 When it comes time to replace or install a new floor, you should consider ceramic tiles. This flooring option is exceptionally adaptable, meaning that it can be easily customized to fit a wide variety of needs for just about any application, giving you a great deal of flexibility and freedom in your design approach. These Ceramic Tile Floors are excellent for bathrooms, dining rooms, kitchens, living rooms, or maybe the entirety of your home. This low-maintenance alternative to flooring requires minimal cleaning to upkeep, and is sure to withstand years of use and abuse, as it is exceptionally durable, as well as resistant to color fading. Considering the long-lasting appeal of ceramic tiles, they offer one of the best values in flooring today. Installation costs may take longer and cost a little more than some other options, but ceramic tiles will offer a lifetime of quality flooring. To get the best service from one of the most reliable Missouri remodeling contractors around, all you have to do is call on the professional team at Joshua Deatherage Builders. We are in tune with the needs of our customers and can offer you the very best in excellent flooring. If you want the service of experienced builders who treat each and every job with care, you cannot go wrong in calling on us. Our customer service is also second to none, and we have worked hard to maintain a great working reputation with not only our customers but our manufacturers as well, so that we can pass the savings onto you. We also offer upfront pricing on each and every project, so that there will be no surprises when it comes time to pay your bill.